Vacation. It's typically a time set aside to relax and recharge, but few people are able to do so because they’re tethered to their work email. 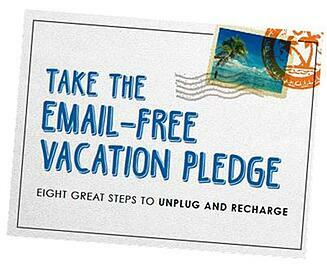 With that, along with our own research and engagements with clients, we've developed The Email-Free Vacation Pledge. It outlines 8 steps you can take today to ensure your vacation doesn't turn into a "workcation." Download —The Email-Free Vacation Pledge— by filling out the form to the right and gain the most critical steps to prepare your team and you for your best vacation yet.